We know that you have many choices for your dental care. We also know how important your health and smile are. 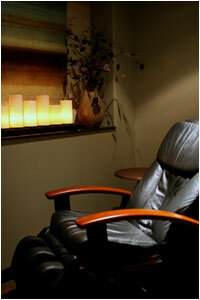 That’s why Dr. Gray is proud to offer comfortable care in a relaxing and tranquil environment. Whether you would like to be sedated or just listen to your favorite music. Our focus is solely on the best ways to maximize the health and beauty of your smile. Our goal is to provide dental experiences and results that far surpass anything you have experienced. At Jeff Gray DDS-Sedation & Cosmetic Dentistry near El Cajon in La Mesa, you will find a team of caring, highly trained and dedicated professionals, who understand not only the technical aspects of your care, but the emotional aspects of your comfort and special needs. We aim to provide dental experiences and results that surpass your expectations. Here, you will find caring professionals who understand the importance of a beautiful, healthy smile. This understanding also includes being able to see the end from the beginning. Some individuals may come to Dr. Gray wanting a specific procedure or asking about a face lift, for example. Dr. Gray, as he explained in his interview on The Wellness Hour, knows what a smile makeover can do to the whole face and can help a patient achieve spectacular results in a short amount of time, sometimes eliminating the need for more extensive and more costly procedures. San Diego cosmetic dentist Dr. Jeff Gray includes his patients in all aspects of the decision making process. His ultimate goal is to create a smile for each patient that makes them happy and improves their lives. To help new patients know what to expect, Dr. Gray discussed in this video clip the process of patients working with him and his staff. If you have considered making cosmetic enhancements to your smile, it is crucial that you choose a cosmetic dentist who has the experience and knowledge to provide the results you are dreaming of. We are proud of the fact some of the most discerning clientele, including many dentists, who recently voted Dr. Gray as one of America’s Best Dentists and Top Dentists in America in 2 different polls, have selected Dr. Gray for their smile enhancements and professional dental care. Please visit our other areas to help you make a sound decision with your dental health. Call us in La Mesa today at 619-717-8560 to schedule your personal consultation. You can also contact us regarding any questions or comments you may have regarding Jeff Gray DDS – Sedation and Cosmetic Dentistry, this website or to arrange to talk to Dr. Gray regarding his cosmetic or sedation dentistry services. You can also get additional information under our general information page.